The workshop is a yearly forum where academics, industrialists and research students can meet and discuss current issues in an informal setting. We especially aim to bring together researchers attacking different aspects of planning and scheduling problems, and to introduce new researchers to the community. Anyone with an interest in Planning and Scheduling is welcome - it is not necessary to submit a paper in order to attend. In recent years the SIG has attracted an international gathering, and we continue to welcome contributions from around the world. This will be the second occasion on which the workshop has been held outside the UK. Algorithms: novel planning and scheduling algorithms. Applications: empirical studies of existing planning/scheduling systems; domain-specific techniques; heuristic techniques; user interfaces for planning and scheduling; evaluation metrics for plans/schedules; verification and validation of plans/schedules. Architectures: real-time support for planning/scheduling/control; mixed-initiative planning and user interfaces; integration of planning and scheduling; integration of planning/scheduling and Fault Detection Isolation and Recovery (FDIR); planning and scheduling in autonomous systems. Environmental and task models: analyses of the dynamics of environments, tasks, and domains with regard to different models of planning and execution; verification and validation of domain models. Formal Models: reasoning about knowledge, action, and time; representations and ontologies for planning and scheduling; search methods and analysis of algorithms; formal characterisation of existing planners and schedulers. Intelligent Agency: resource-bounded reasoning; distributed problem solving; integrating reaction and deliberation. Learning: learning in the context of planning and execution; learning new plans and operators; learning in the context of scheduling and schedule maintenance. Memory Based Approaches: case-based planning/scheduling; plan and operator learning and reuse; incremental planning. Reactive Systems: environmentally driven devices/behaviours; reactive control; behaviours in the context of minimal representations; schedule maintenance. Robotics: Motion and path planning; planning and control; planning and perception, integration of planning and perceptual systems. Constraint-based Planning/Scheduling and Control Techniques: constraint/preference propagation techniques, variable/value ordering heuristics, intelligent backtracking/RMS-based techniques, iterative repair heuristics, etc. Co-ordination Issues in Decentralised/Distributed planning/scheduling: co-ordination issues in both homogeneous and heterogeneous systems, system architecture issues, integration of strategic and tactical decision making; collaborative planning/scheduling. Iterative Improvement Techniques for Combinatorial Optimisation : genetic algorithms, simulated annealing, tabu search, neural nets, etc applied to scheduling and/or planning. Artificial Intelligence and Operations Research: comparative studies and innovative applications combining AI and OR techniques applied to scheduling and/or planning. Planning/scheduling under uncertainty: coping with uncertain, ill-specified or changing domains, environments and problems; application of uncertainty reasoning techniques to planning/scheduling, including MDPs, POMDPs, Belief Networks, stochastic programming, and stochastic satisfiability. Full papers: (approx. 5000 words). These should report work in progress or completed work. Authors of full papers that are accepted by the Programme Committee will be invited to give a talk on the paper. Short papers: (2 pages) These should report views or ambitions, or describe problems. The author(s) will be able to discuss the paper informally with others at the workshop and will be invited to give a short presentation on their work. All papers and presentations should be in English. 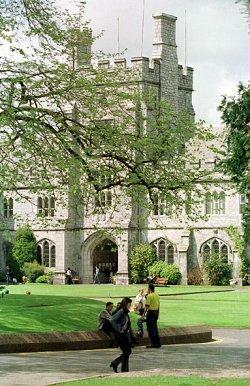 Papers can be submitted via e-mail to the Program Chair (k.brown@cs.ucc.ie) (preferred) or made available on the Web. In either case, documents should be in gzipped postscript or PDF format and be named "author.ps.gz" or "author.pdf.gz", using the name of the first author. An e-mail message containing either the file or its URL (e.g. http://..../author.ps.gz) should reach the Programme Chair by 7th October 2004. All submissions will be reviewed by two referees, and successful submissions will appear in the Workshop Proceedings (ISSN 1368-5708). Accepted papers will also be made available via the SIG web-site.